Bernardo was a rich man and prominent citizen who surrendered to Francis like a child. He gave away all his gold and earthly possessions, entrusting his will to the hands of a poor man who knew nothing but God. Barnardo was strict and dedicated and stayed alone in the caves praying. He preferred solitude and constant prayer. 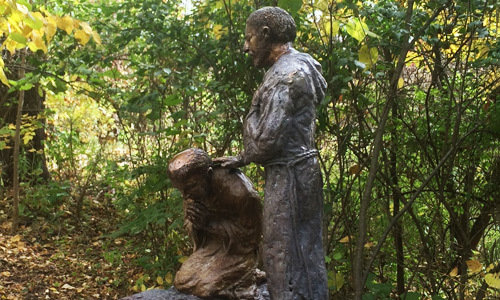 As Francis and Bernardo prayed together they felt the kinship of eternal brotherhood.